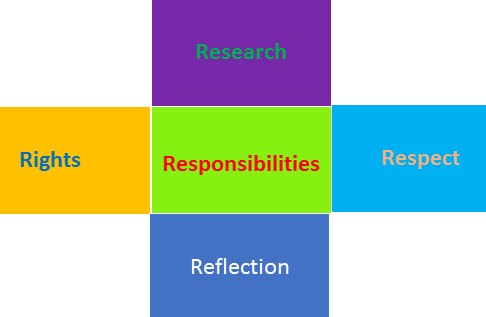 This entry was posted in Blogging, Family History and tagged ethics, research, responsibilities, rights by cassmob. Bookmark the permalink. These are conversations that need to be made among the genealogical community. Particularly the inclusive/exclusive arguments that seem to flare up at all too regular intervals. Thanks for commenting Helen. I think your creed of “do no harm” fits this perfectly. I had seen your post when all this came up, thanks to FB. Much to think about. It’s a shame with your interesting work-place and genealogy careers that there’s no one to take an interest in your stories. We need to keep having the conversations I agree, but I do wonder how many genies actually see them, or is it only the social media “tip of the iceberg”? Something for a Unlock the Past cruise debate? Surely one of the geneacruising speakers could take this up? You’d need a positive and negative speaker to get the hottest debate going. I agree.the conversation needs to keep happening and social media is literally the tip of the iceberg with the non-social media genies the rest. I suppose it is a case of trying to get the conversation going everywhere. It would be a good topic for the cruise. We did a social media panel last time and that was interesting for the number of people who were not on social media and were in fact alarmed by it. Getting someone to argue the negative may be a bit harder as I believe most people would agree that doing harm to anyone is not a good idea. A problem is in defining what is harm. Sorry Helen, I was meaning the inclusive/exclusive debate which might tease out some of the background story. The “do no harm” might come under an Ethics topic. Helen, you have led such an interesting life, as those before you have. Don’t ever think that no one will be interested. You will often find that cousins are greatly interested in the history of their whole family, it doesn’t have to be a direct line. Helen, wise words from Chris. Thankyou for your response to a debate that I’ve chosen to steer clear of Pauleen… not that I don’t have strong opinions. There is nothing you’ve written that I don’t agree with… however some stand out more than others, especially our responsibility “…to treat their stories with respect other than salaciousness”. I began blogging in order to put the horrid mistruths, lies and salacious gossip about my family, especially my father, to rest with the well researched and clearly documented facts before I too “fall off the twig”. If people just access the newspaper reports of the day they can have a whole different interpretation on what caused my dad to be accused of “attempted murder”, of a doctor, and locked up in “the loony bin”. I owe it to him, his stillborn first baby and his beloved first wife who took her own life 2 months after the death of her babe, to put this in the context of inferior medical attention available to the families of the long term unemployed in Port Adelaide, South Australia, during “The Great Depression”. This is why I’m always advising people to remember that in bygone days, just like today, not everything reported in the newspapers is necessarily “the truth”. Your views on “respect for research” also resonates with me strongly Pauleen and is why I’ve chosen to make my “Ancestry Tree” PRIVATE. I refuse to allow others to take my research and misuse it. Unfortunately some see this as being selfish/ not sharing but I’m happy with my decision. My Tree still shows up on Ancestry’s Index and genuine researchers can, and do, contact me requesting access. Thanks for commenting Catherine. I do like to stick my neck out occasionally and see what happens. I think we all have slightly different reasons for why we start on this adventure, and oft-times it’s not always about happy memories…me too as it happens though not as dramatic as yours. Integrity sums it up nicely. I have come across a few tragic family stories that I research and write up but don’t put on my blog because the descendents feelings are still raw about what happened. I wouldn’t stop if my kids all said they weren’t ever going to be interested in my information. Luckily, they haven’t told me that and every once in awhile I do get a comment or find out that some of them are reading the blog. I’m glad you sent the father’s name to the family. They have a right to know. My husband’s family does have situations where they don’t want to acknowledge what’s happened. I just shake my head. If only the men involved had been so thoughtful. Thanks for commenting Kristin. Thanks also for your positive support on my decision re the father -helps put my mind to rest…and amused by your comment about the men. I suspect in this case the issue may have been around religion, but of course that’s impossible to know. I do keep hoping that when the kids are a bit older they’ll take more of an interest, meanwhile I keep writing, and publishing in book form…keeps me amused. The last sentence in your reply to Kristin made me smile… Not only do your blogs keep you amused, they do so for many others as well. I think we can all be fairly naive at times, expecting others to follow our unwritten guidelines referring to ethics, common courtesy, moral values and simply the need to tell the truth. I see bloggers, writers, historians, journalists and any combination of these, as the keepers of history, hopefully of the truth, but always with consideration. No matter how much you would like to reveal all at times, if doing so might upset others, or cause harm in any way, why do it? Far better to keep a private record and share only what will be of general interest. In saying this, I agree that it was the right thing to do, to pass on the name to the daughter.. The family did have a right to know. We have to make judgements that we can live with. As for those who don’t acknowledge others’ contributions, I doubt that will ever change. They are the first to complain if their work is copied. I choose to ignore them, along with the name harvesters.. Their ‘work’ is the poorer for it. Regards family taking an interest, they often do when their own children ask questions. If not, then at least we know that we gave them the option of knowing from whence they came. Pauleen, This is such a timely and useful post for me as I am facilitating a panel session on Ethical Issues on the next UTP cruise also prompted by Thomas’ post. Your article gives me much food for thought as I ponder on my preamble and the discussion points for the panelists. By all means Jill…I must have ESP re ethics discussion;-) Might be a topic for a future hangout?